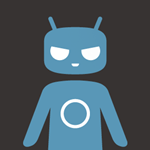 If your phone was already one of the very first devices to get the latest version of Android, do you really need a custom ROM like CyanogenMod? If you're shouting "YES" at the screen right now, you'll want to know about the first nightly builds available for the Moto X. The CM team has published CM11 nightlies for the Moto X on T-Mobile (XT1053, which is also the standard unlocked GSM edition) and for Verizon (XT1060), though the later needs to be a Developer Edition. Those users who sprang for the Verizon developer version of the phone should be particularly happy to hear this news, since the Moto X is about as close to a recent Nexus phone as you can get on Big Red. AT&T customers who insisted on an unlocked bootloader and bought the GSM Developer Edition should also be covered, since it's essentially the same phone as the T-Mobile model. As far as we know, no one has cracked the bootloader on the standard Moto X models for AT&T and Verizon, despite a large bounty for the exploit. There's no word on a CyanogenMod build for the Sprint version of the Moto X or any of the smaller regional carriers. At the time of writing each phone has just one nightly published. As always with nightly builds, be prepared for a few bugs here and there. If you've already got a custom recovery installed, just load up the ZIP file (and Gapps if you'd like access to the Play Store), wipe your old ROM, and flash it. Remember to back up your current build before doing anything else.